SimCity is one of those classic iconic games that has help to shape the video game industry through its many incarnations. There have been mobile versions of SimCity released previously although they have never quite managed to recapture the magic of the big screen original. This may be about to change though, as EA Games have released SimCity BuildIt, a version of SimCity built from the ground up for mobile devices and those gamers who have become used to a more casual style of games. The basic concept of SimCity BuildIt follows that of its predecessors, with you building a city and infrastructure from scratch to try and entice as many citizens to make their home there. Resource management plays a key part in the game as you need to manage the production of the building materials to construct and upgrade the buildings and facilities in your city. As with many freemium games time plays a key role in the game as you often find yourself waiting for building materials to be manufactured, of course this time delay can always be skipped by the use of in-game currency, which can be topped up with real world money. How much of a hindrance this will prove to be will be revealed with further testing, although even early into the tutorial I found myself waiting impatiently for building materials to become available. SimCity BuildIt may prove to be successful with it’s impressive visuals and easy mobile friendly control system, but ultimately it’s success may depend on how much of a frustration the dependency on currency becomes. 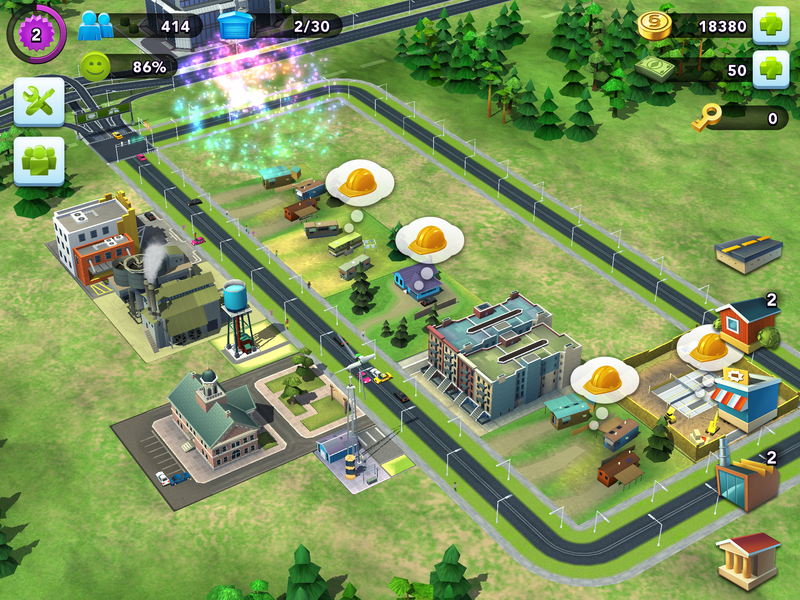 The free to download SimCity BuildIt is now available on both iOS and Android. You can also get more information on the game on the EA site.